If you have a dream about owning your own home and applying for a mortgage then you may be a bit nervous at the present moment. While having your own home is the American dream the high prices involved can be overwhelming. Below are some steps you can take to properly apply for your first mortgage. Applying for a mortgage used to be simple. People would compare the prices and rates of houses they wanted, and once they found a lender they were comfortable with, they would make a large down payment and then move in. Today things have changed, and going through the number of options available can be very stressful. One thing you should do before shopping for a house is to educate yourself. If you feel that you can afford a mortgage the next thing you should decide is how much you can afford. Lenders have a tendency to offer you mortgages which are more than you can afford, and this is important to remember. In addition to the cost of the mortgage itself, you will have to pay taxes, insurance, and other expenses such as homeowners association fees or Mello Roos. These costs will be included in your monthly expenses. When you begin looking for a mortgage you will encounter different types of lenders; banks, mortgage brokers and direct lenders. Banks are the depositories such as Bank of America. Banks and direct lenders are the people who have the money to lend you. They are ultimately the individuals who decide if you will be approved for a home. The mortgage broker acts as a middleman, going out and finding banks and lenders who can give you the best deal. While banks may have a limited number of loans available, a direct lender and a mortgage broker will often have access to multiple lenders simultaneously. If you are looking for a specific type of mortgage, a direct lender or mortgage broker may be better to use than a bank. Once you’re ready to buy a home the next step is to fill out an application. There are a number of things you will need to fill out on the application and it will help if you have some supporting documents. You will need to provide information about your income, length of employment, and your assets. They will also want to know what other loans or credit cards you have. Once this information has been provided, the lender will look at your credit report. In addition to this, they will want to see your bank statements and check stubs from your job. You may also need to show them tax information and data about your insurance. If your credit is good your lender will provide you with a pre-approval letter which will tell you how much you can afford. You can now start shopping for a home. The benefits of getting pre-approved are you’ll know exactly how much you can afford. 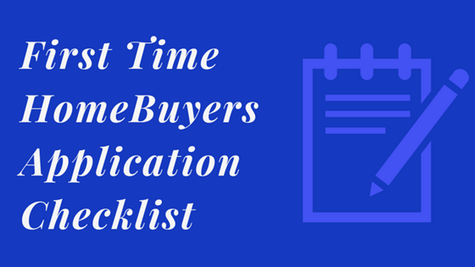 This also tells realtors and home sellers that you have done your due diligence and have a lender who is going to back up your offer. Another added benefit is you can close quickly since you’ll have a fully underwritten pre-approval. This is the next best thing to a cash offer! Next: Next post: Are You Ready For A Home?